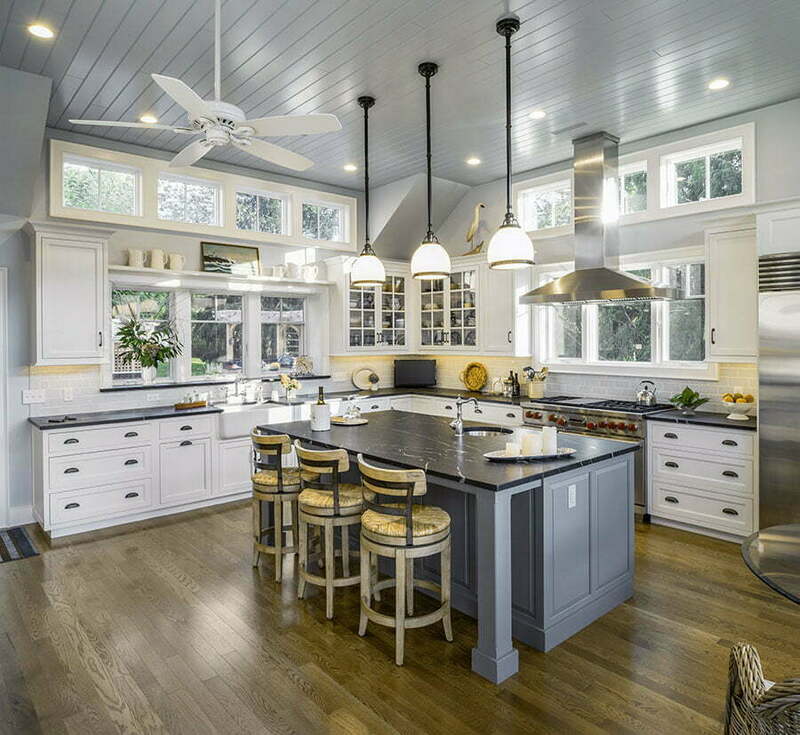 Anderson Windows bring natural light into the new kitchen. 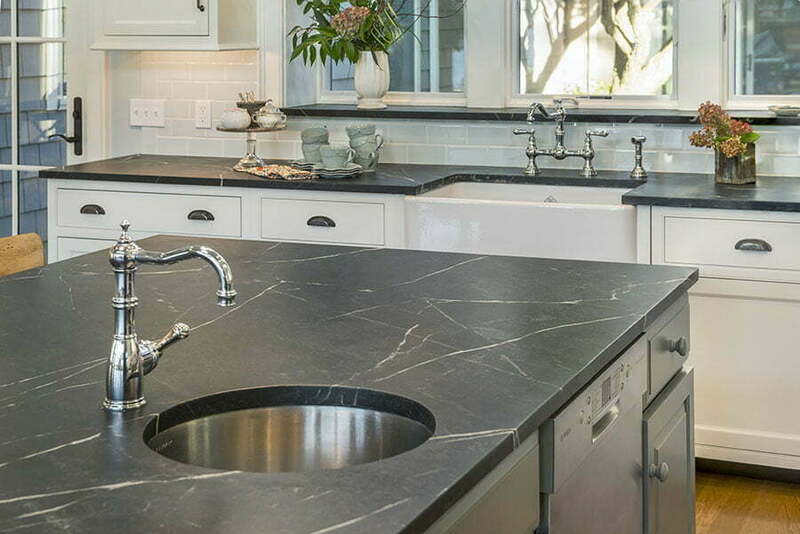 “Holiday Kitchens” with Vermont soapstone countertops give the owners plenty of prep space. 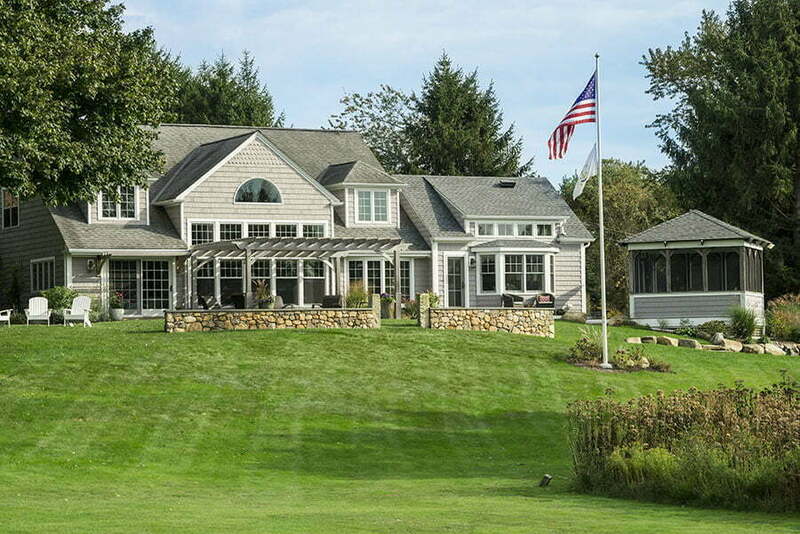 WarmBoard radiant heat keeps the space warm in winter months. 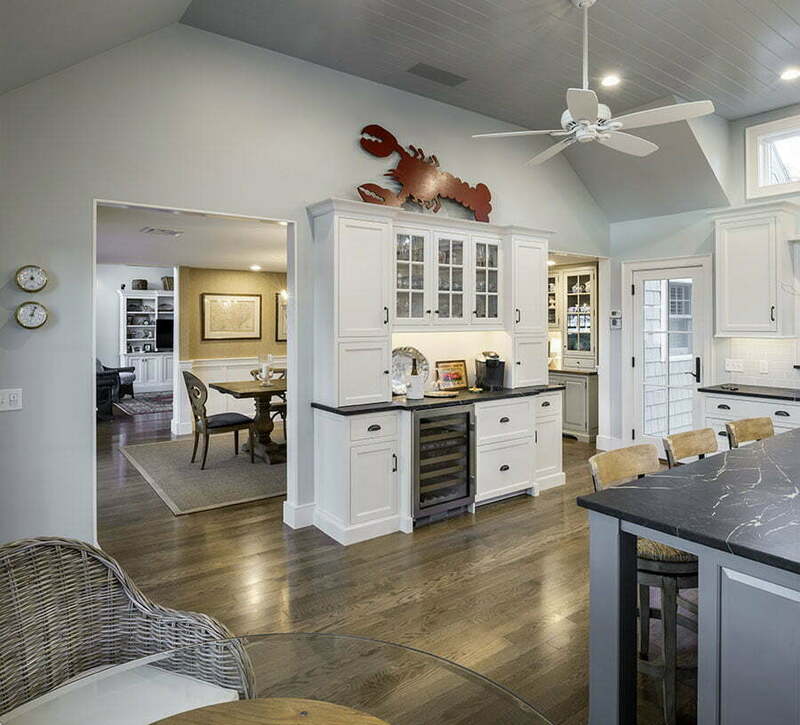 Beadboard ceilings, glass front upper cabinets and cup pulls give the kitchen a traditional feel. 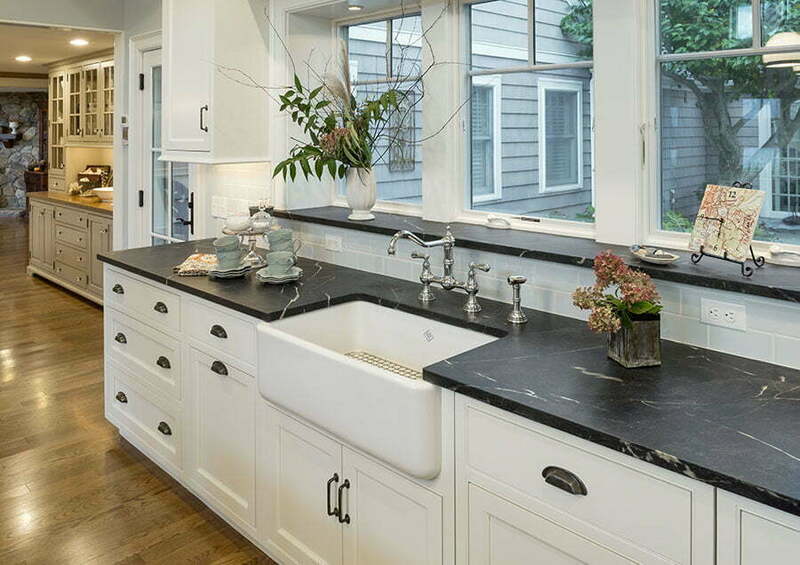 Vermont soapstone counters compliment the white and gray cabinets and provide a “grounding” feeling in the kitchen. Note the deep window sill- also covered in Vermont soapstone. 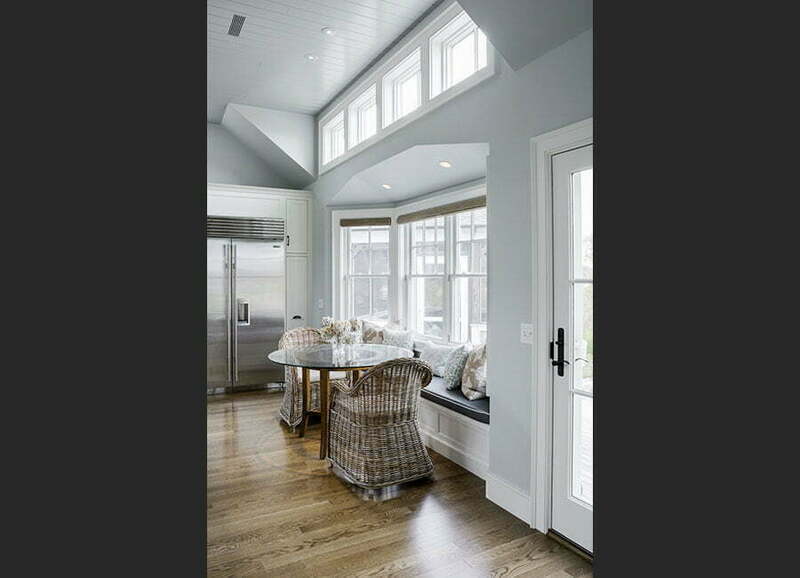 White oak rift and quartered engineered hardwood flooring brings cohesiveness to the entire first floor. The bay window area provides a great spot for breakfast or an afternoon cup of tea! 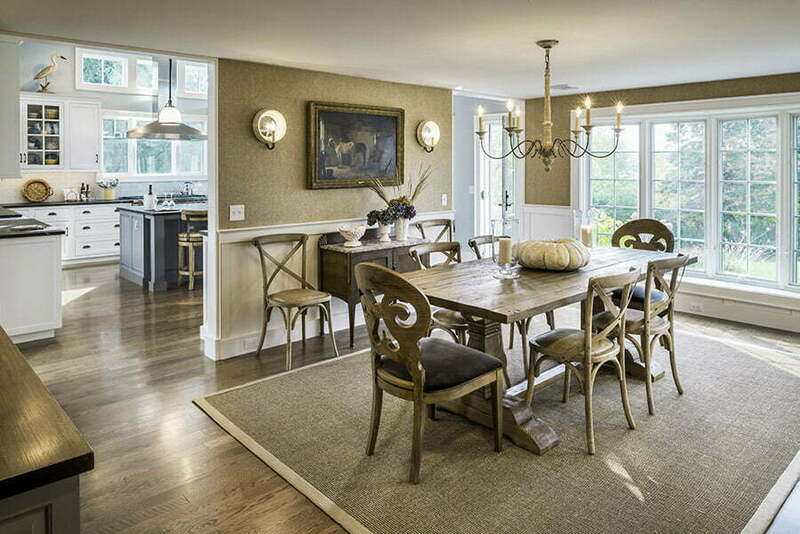 Two four foot openings provide plenty of room for traffic flow between the dining room and the kitchen. 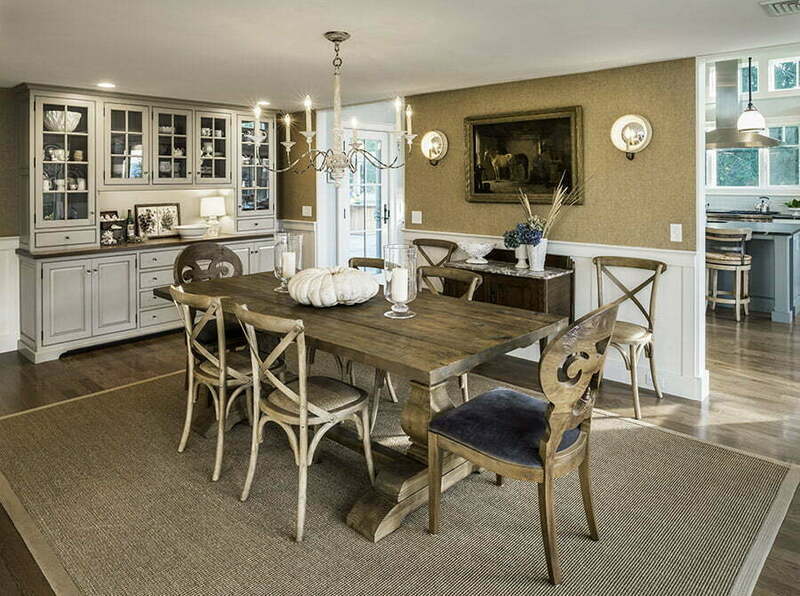 An antique pine countertop serves as the surface of the custom built buffet in the newly created dining room. 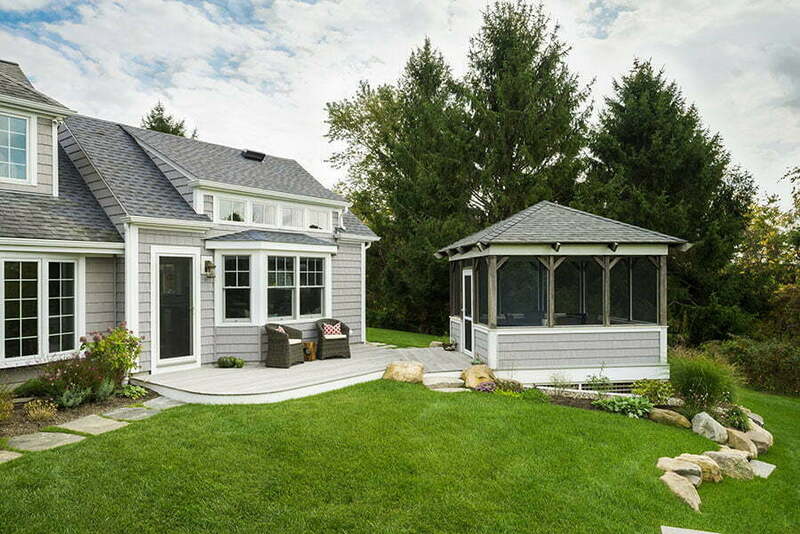 The gazebo was relocated and angled prior to construction to allow for the new addition. 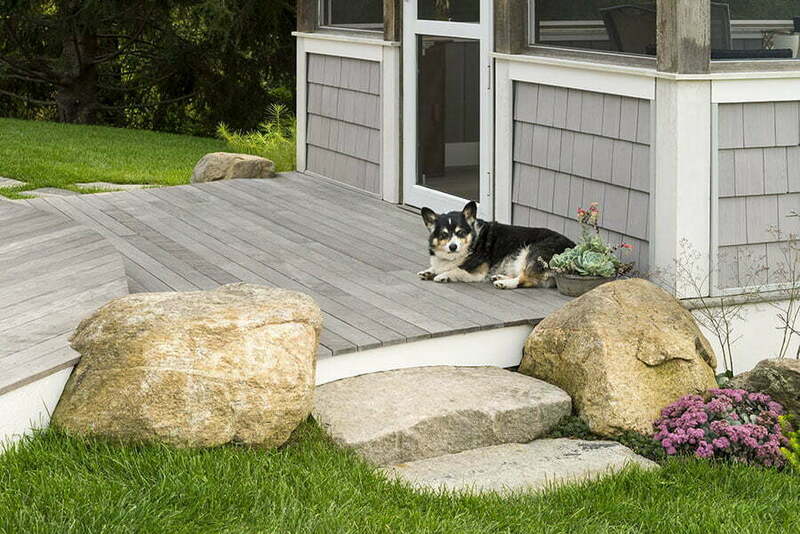 Note the decking cuts around the stones. Talented craftsperson!! 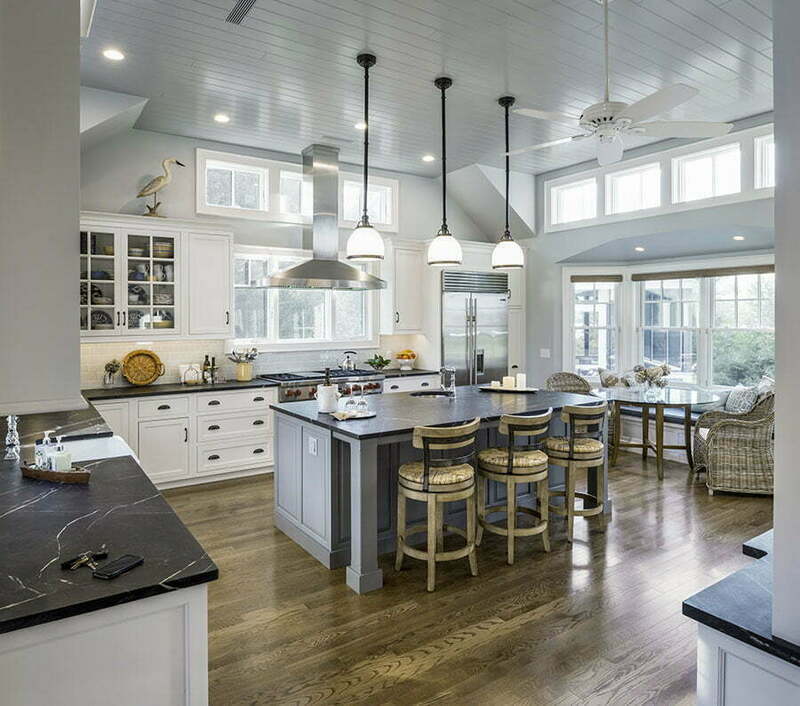 The kitchen addition on the right flows seamlessly with the existing home. 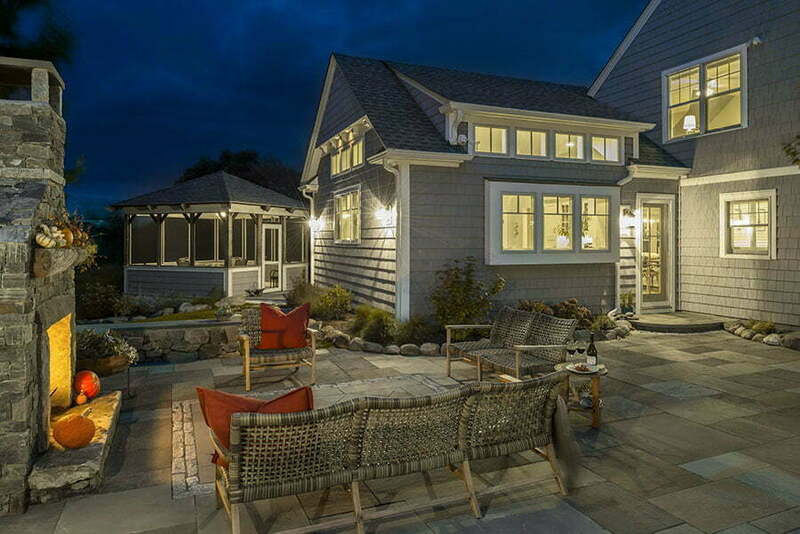 The bluestone patio with fireplace creates a perfect spot for evening entertaining.